With his characteristic eloquence and brilliance, Fulton J. Sheen presents a moving portrayal of the Blessed Virgin Mary that combines deep spirituality with history, philosophy and theology. All the major aspects and events of Mary's life are lovingly portrayed in this word portrait that is a never failing source of information, consolation and inspiration. Sheen also gives profound insights into all the Marian beliefs ranging from the Immaculate Conception to the Assumption to the miracle of Our Lady of Fatima. 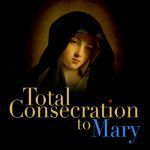 While considering the different phases of Mary's life, Bishop Sheen discusses various problems common to mankind of every age and reveals clearly that every problem can be resolved. He emphasizes the unique dignity, strength and gifts of women and their ability to help heal the world's problems. Sheen stresses mankind's need of the Mother of God and her burning love for all her children. The great resurgence of devotion to Mary is God's way of emphasizing the worth and dignity of every person against the false doctrines that have so confused the modern world. "A stimulating literary picture of the Blessed Virgin Mary ... an impressive scope of information." "A remarkable book by Sheen. Many rays of inspiration are to be gleaned from this thought-provoking work." "The whole treatment is based on a high key that reflects the author's deep reverence and devotion for the Blessed Virgin." Archbishop Fulton Sheen was one of the most celebrated churchmen of the 20th century. He wrote over sixty books, and his radio and television programs drew an audience of thirty million listeners. His many other books include Life is Worth Living, Treasure in Clay and Through the Year with Fulton Sheen.